Every Erzulliestas know the value of self-love and as such, it’s only fitting for this love month that the “I love myself” mantra be heard! #2 We have also presented the new icons for 2014 --- who made the cut? #3 We got double the plus size opinion this week: Choose between “I’m fat & single, please calm down” and “banishing the ghosts of your past mistakes”. We also ask about the worth of any dream. #4 Erzullie designer, Berna Cuevas, decided to be a “shape shifter” today, while Erzullie designer, Aries De Guzman went out with a “print play” for plus size style. #5 Erzulliesta Nikki also steps up looking “pretty preppy” in her ensemble. She also got featured in this plus size editorial, “Blurred Style”. 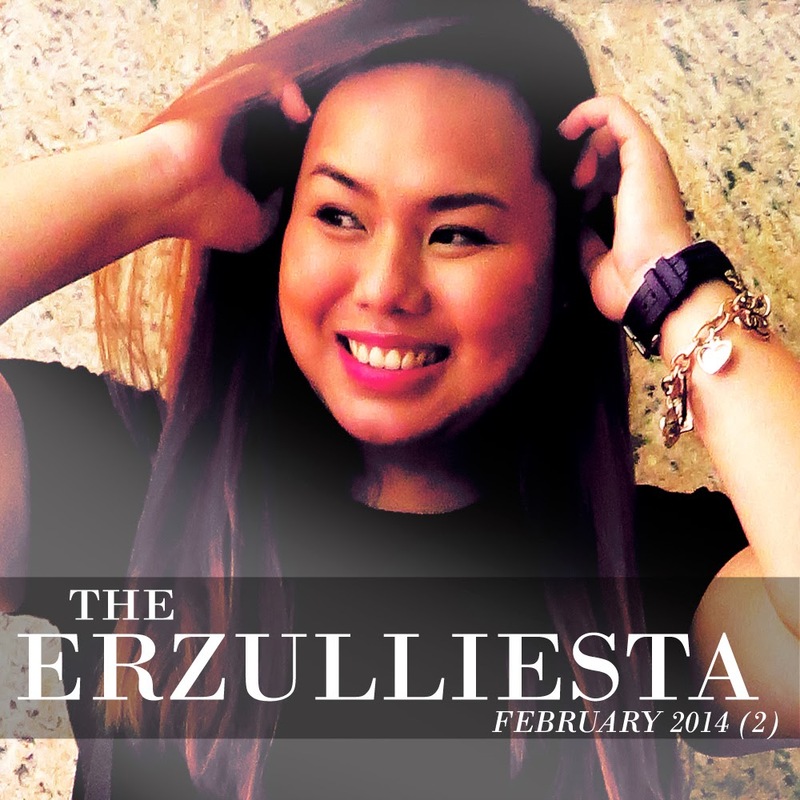 #6 The new plus size dating column is up and Erzulliesta Beau Soleil talks about “love by the looks of it”. In turn, we also ask you ladies to fill this blank: “The best kind of date for me would be _____” and give you “ideas for blind date outfits”. #7 The Manila dating scene has always been hot and spicy, but the temperature just got higher with Erzulliesta Gellie Abogado entering the scene. People are definitely saying, “Oh-My-Gellie!” and finds her roaming around this editorial, “G City”. Erzulliestas! 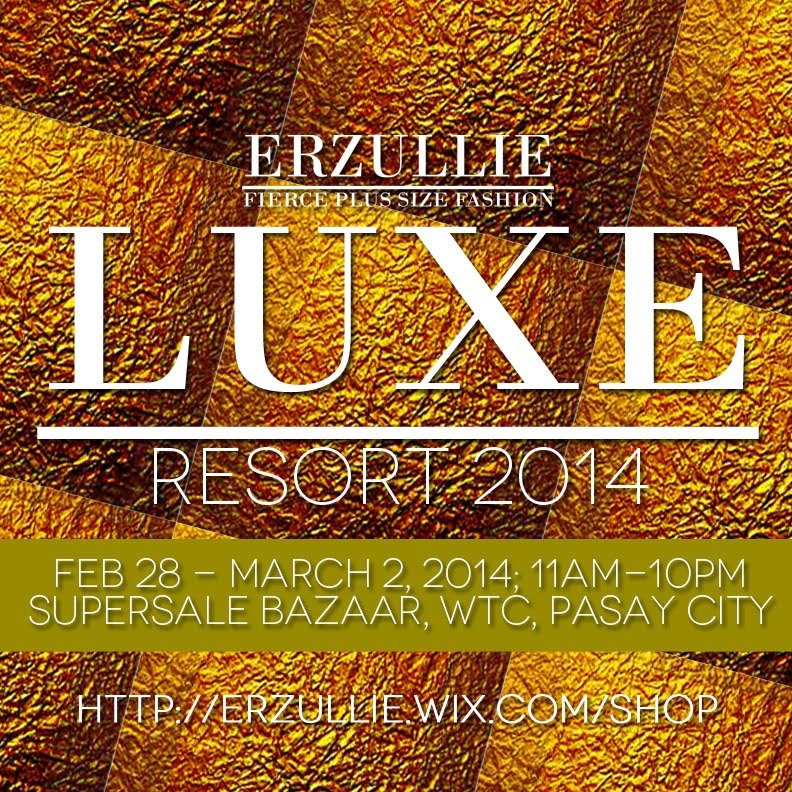 See you at the Erzullie booth in the Super Sale Bazaar, World Trade Center, Pasay City on February 28-March 2, 2014 for the release of the Resort 2014 collection, “Luxe”! We are so excited to see and show you girls our latest designs while giving 50% discount on some of our past items and free superb personal shopper service!